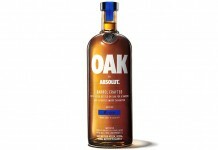 Absolut Vodka is one of the major brands responsible for the boom in vodka in America. In the early 80s and 90s, Absolut Vodka helped define the vodka culture with a different look, a different approach, and a distinctively different taste. Although Absolut has expanded their range of offerings over the years, mostly in the flavored space, no release comes close to the significance of their new Absolut Elyx. In many ways Absolut Elyx is a response to vodka drinkers who have moved away from Absolut towards other premium vodkas like Ketel One and Grey Goose. Like Absolut classic Vodka, Absolut Elyx is still wheat based, but its character and taste profile are radically different. 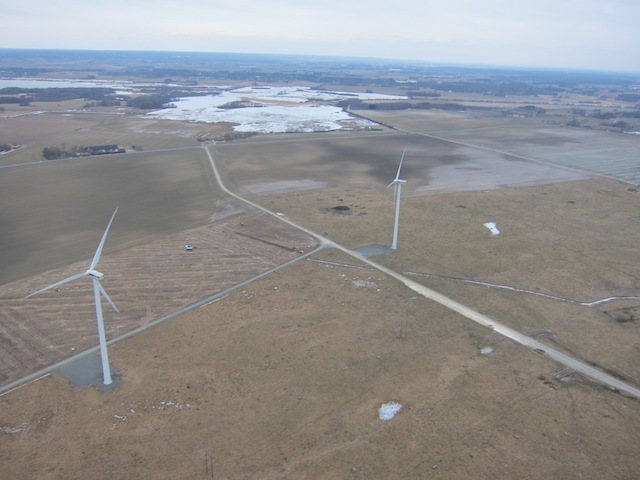 While most of the winter wheat used to make the classic Absolut Vodka comes from the area immediately surrounding the distillery, for Absolut Elyx they’ve taken their “One Source” concept to the next level by sourcing all the wheat from a single estate, the Råbelöf Estate. The concept of a single estate vodka is fairly uncommon as terroir (the impact of the land on a spirit) isn’t something that vodka makers typically focus on. 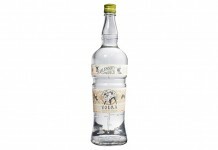 Vodka terrior is just one of the many things that help make Absolut Elyx distinct. 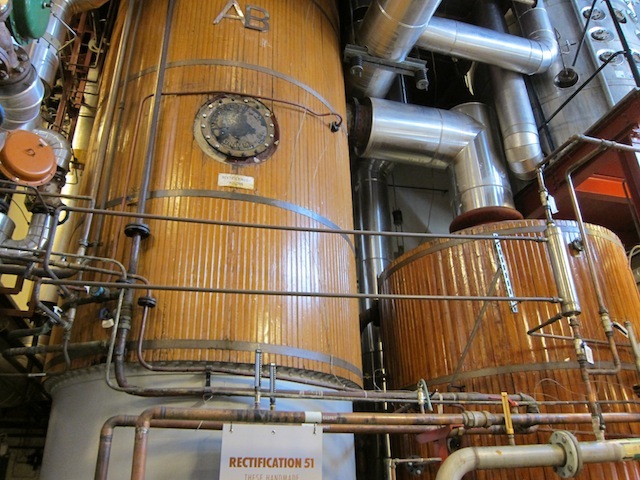 While the fermentation and initial distillation are done at the main Absolut Vodka distillery in Nöbbelöv, Sweden, the final distillation and copper catalyzation are done at the original Absolut Vodka Distillery in Åhus, Sweden. Most of the major vodkas, including Absolut Vodka, are produced in giant stainless steel columns with copper plates stepped out through the column. Vodka is distilled by heating a fermented beer at a temperature where the alcohol transforms into vapors that rise up the column. 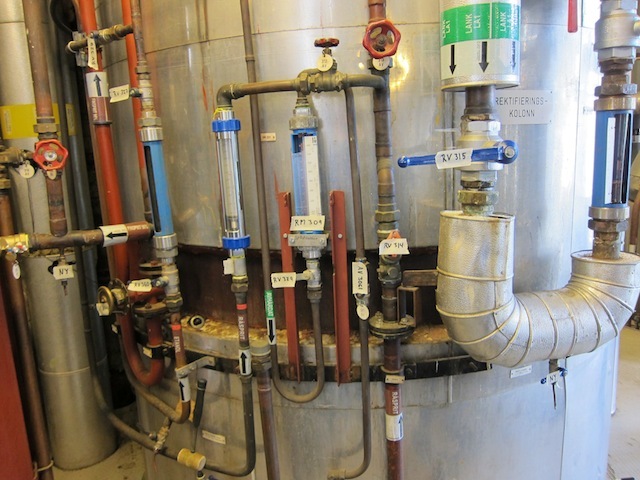 As the alcohol vapors go up the column, they come into contact with copper plates stepped out inside the column. When the vapor passes through these plates, some of the vapor condenses and then falls down the column to be re-heated and transformed back into vapor (this process is impossible to quantify as a number and is the reason why many vodkas which claim to be distilled six or seven times is extraordinarily misleading [watch this video for an explanation]). For Absolut Elyx, the final distillation happens at the Åhus distillery in a much smaller still that is made completely out of copper. 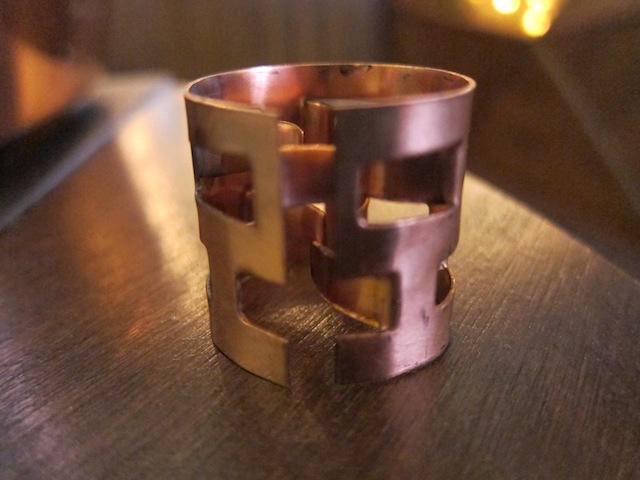 When it comes to distilling spirits, copper is a very important element as it attracts the sulphuric elements in a spirit that often lead to a harsh character. When alcohol vapors come in contact with copper, there’s an interchange that happens that creates a distinct character in the final spirit. Simply distilling Absolut Elyx in this copper still creates a vodka with a different character than Absolut’s classic vodka. 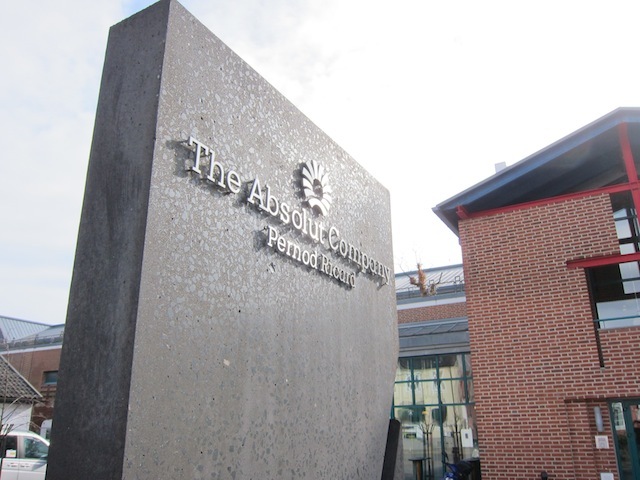 The interchange between the copper and the spirit is called copper catalyzation, and to enhance that impact, Absolut fills the top part of their column still with copper pipe, cut and scored to create as much surface contact with the vodka vapors as possible. Absolut changes these copper bits every batch to ensure the most contact with new copper as possible. Unlike the distillation of Absolut Vodka, which is entirely controlled by computers, Absolut Elyx is a much more labor intensive and “hand crafted” process. All the controls for the Absolut Elyx still are operated by hand (using a little hammer). The human element also has an impact on the final product. Absolut Elyx ($49.99 per 1-liter bottle, 42.3% ABV / 84.6 Proof) – Absolut has taken the unusual step of releasing Absolut Elyx only in the 1 liter and 1.75 liter versions to start in New York City, Miami, Los Angeles, Chicago, Las Vegas, Dallas, Boston, and Washington, D.C. 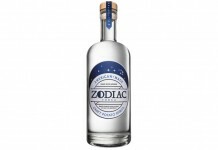 This super-premium vodka will expand to other markets and into the traditional 750ml offering later in the year. 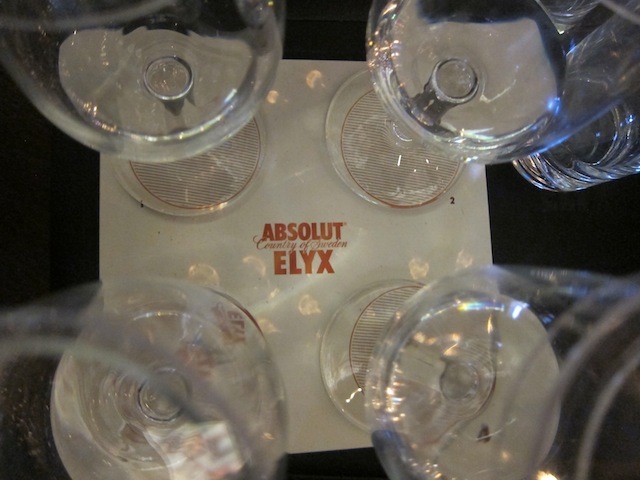 From the nose of Absolut Elyx it’s clear that this is distinctively different from the classic Absolut. Whereas the classic Absolut has a fairly sweet nose to it, Absolut Elyx is much cleaner and sharper with much more of the crisp grain note. There’s very little sweetness in the nose and none of the fruity elements you find in the classic Absolut. From a sharp crisp nose Elyx unrolls with a smooth and slightly sweet entry that carries the wheat grain note from the nose and adds light vanilla cream, a touch of butterscotch, and a hint of hazelnut and chocolate. Where Elyx really shows off its stripes is in the midpalate where it develops a fantastic spice reminiscent of the pin prick you get from a great Russian style vodka; although it’s not a pin prick here, the spice is wide and expansive on the palate. This spice gives Elyx tremendous structure and defines the finish, which has a nice spicy core but finishes clean. The mouthfeel of Elyx is simply exceptional, transforming from a smooth, creamy opening to a crisp, clean finish, perfectly executed in every way. While we greatly prefer our martinis with gin (and stirred), Absolut Elyx’s solid midpalate and strong finish hold up admirably when combined with vermouth. This is a real testament to the craftsmanship that went into this product. 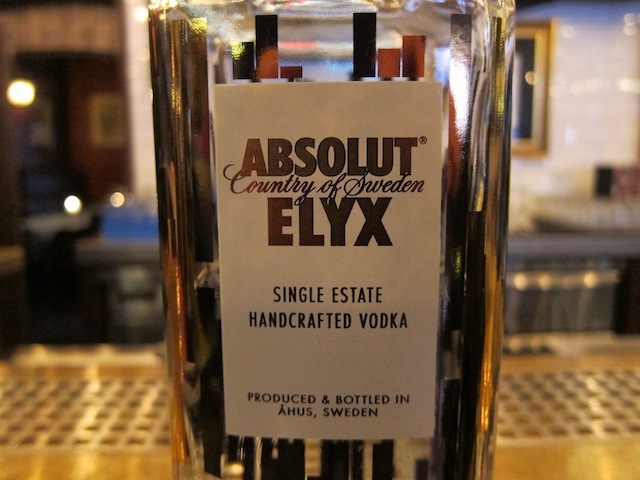 It can often be difficult to get excited about a grain-based vodka, but Absolut Elyx is exciting. Absolut Elyx is one of the most significant vodka releases since Ketel One or Grey Goose. Elyx is a game changer for Absolut, who has virtually reinvented itself with a contemporary vodka that stands shoulder to shoulder with some of the very best vodka on the market. Absolut has tried a number of brand innovations and expansions lately including Absolut Tune and the upcoming Absolut Amber, but none hold a candle to Absolut Elyx. Put simply, Absolut Elyx is a grand slam home run for Absolut and one of the best vodkas we’ve tried in a long time.